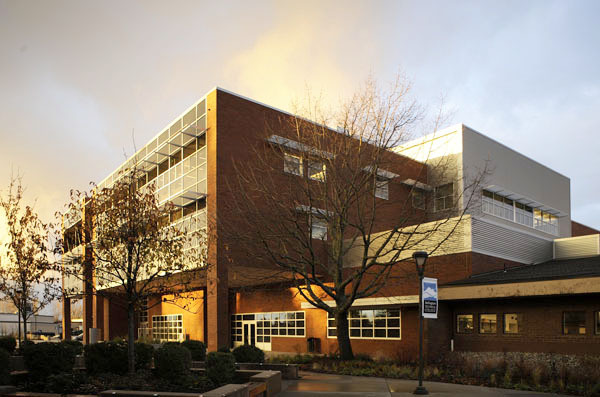 The Bellingham Technical College’s Campus Center was recently awarded LEED Gold Certification (Leadership in Energy and Environmental Design). The building, designed by HKP Architects, incorporates a number of sustainable features to reduce its impact on the environment, improve indoor environmental quality and reduce operating costs. The Campus Center building provides a sustainable campus core for students, faculty and community members. The three-story building has both formal and informal learning areas throughout, with the majority of the second floor devoted to classrooms. The first floor has a large auditorium, bookstore, teaching kitchens and a restaurant. The second floor has faculty offices, conference rooms and student study areas. The third floor houses an expanded library, faculty lounge, and the first ever student activities lounge. Outdoor balconies to the north and south offer views of Mount Baker and Bellingham Bay, respectively. The Campus Center was designed with energy usage and conservation as a main priority. Careful consideration was also given to construction waste, daylighting, green roofs, solar photovoltaic panels, stormwater management, water-efficient fixtures, recycling and local/regional materials. Some examples of the success of the sustainability goals achieved are 97% of construction waste diversion from landfills, energy features reducing operating costs by 31%, and building materials that have 22% recycled content and are 25% local/regionally sourced. Daylighting provides natural light deep in the building with a large center light well and roof monitors. 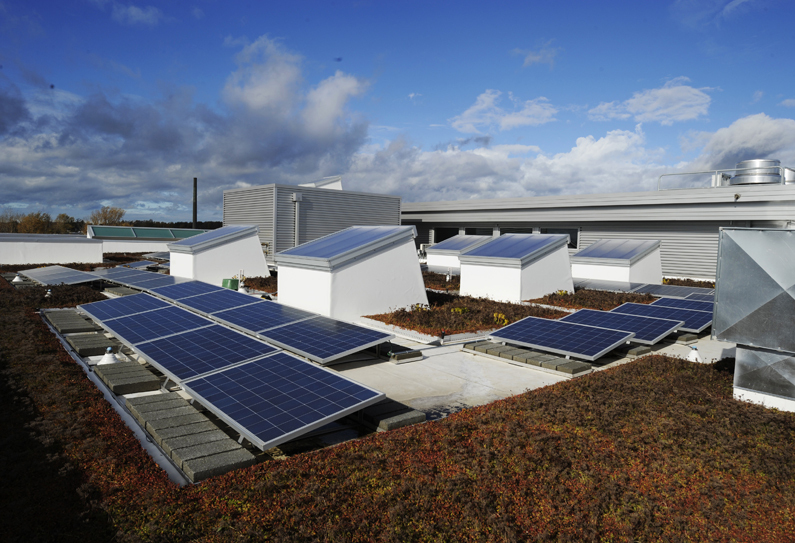 Green roofs and rain gardens help reduce stormwater runoff, and solar photovoltaic panels on the roof provide on-site electricity generation. These and many more features of the building are shown and described on educational plaques throughout the building so visitors can understand the sustainable design features of the building. More detailed information can also be found in a case study here. Cost Estimator The Wool-Zee Company, Inc.